The Look: Matt is looking very sharp, sporting a pale blue button up, beige suit jacket, black shoes, pants and belt, and a real leather watch which he purchased in Germany. His look stands out, but Matt says he’s not the only student with style. “We all dress to impress,” he said. 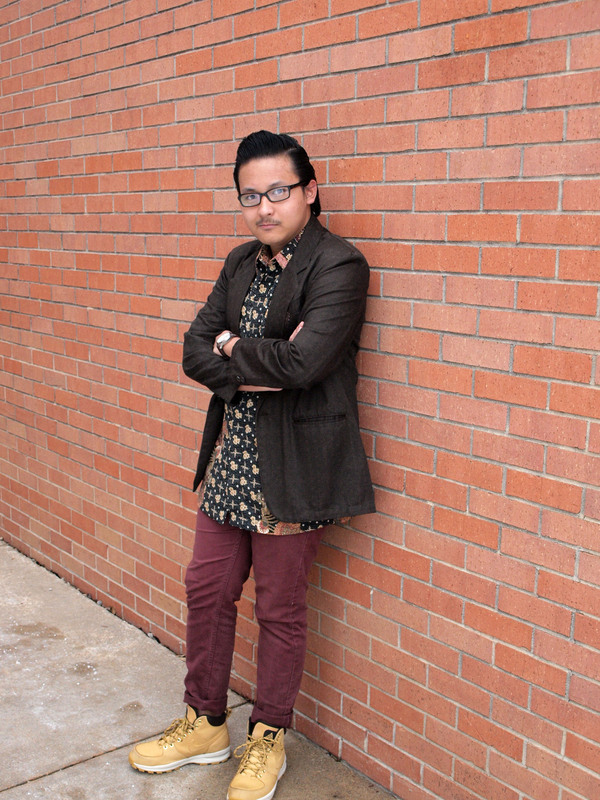 Be sure to watch out for this stylish musician and math genius around campus in the future! Why did you choose this outfit? 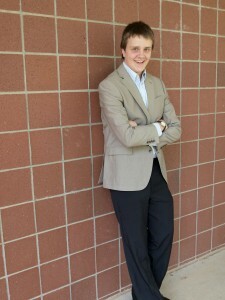 Matt says that he likes to mix colors, wanted to dress up for ”looking wow” Wednesday, a formal dress day for Bel Canto. He likes to be professional in the way he dresses, but is sometimes disappointed by the lack of options for men. “Girls get to wear all of these exciting things and guys get to wear a suit,” he said. What do you think that this outfit says about you? 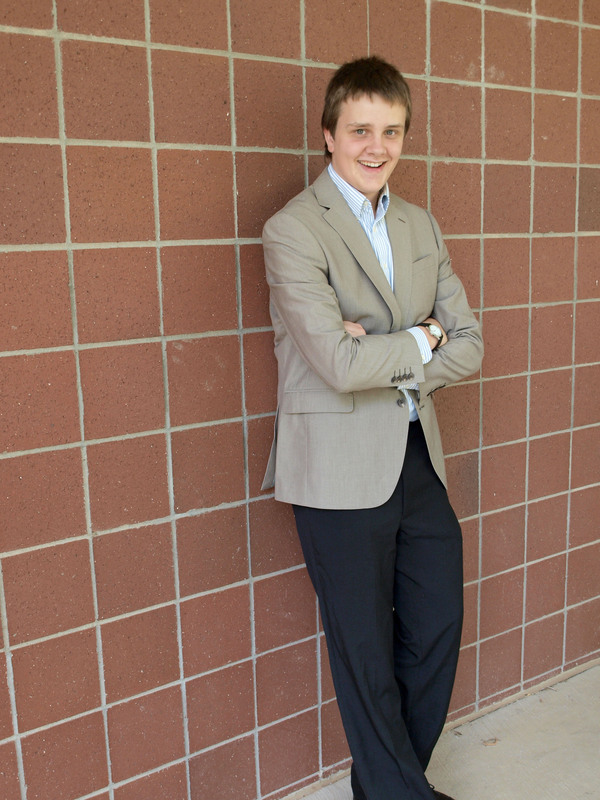 This outfit, Matt says, communicates that he is professional, mature, responsible, and enjoys formal wear. What is your favorite thing about this ensemble? Matt really likes the color of the suit coat because most formals are dark colors, while this one is bright.